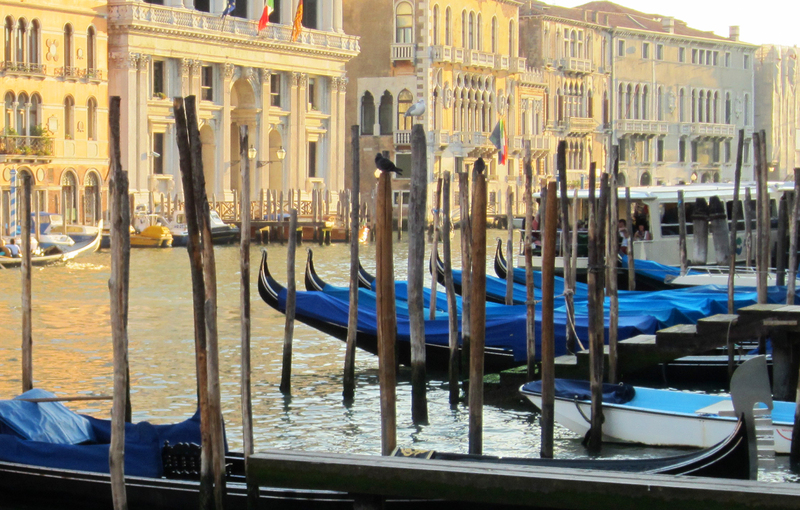 Even though Venice is known for its waterways, dotted with trademark black gondole and vaporetti water taxis, it is a city that is best explored on foot. This point was reinforced as soon as my husband and I stepped down the stairs of the Santa Lucia train station to meet Lorenzo, the owner of the apartment we rented in Venice. Immediately, Lorenzo took my bag and whisked us through the city, giving us a snapshot tour (in Italian of course) as we made our way through the throng of tourists to a less congested area in the Cannaregio sestiere, or district, where our apartment was located. While iconic sites like St. Mark’s, the Grand Canal and Rialto Bridge are definitely worth a visit, I also enjoy wandering the quiet backstreets of this ethereal floating city. From its charming architecture and bridges to beautiful window displays, alternating between blown glass creations and elaborate masks, Venice is a visual wonder. Armed with a map and a sense of curiosity, we set out to discover small shops of hat makers and empty courtyards hidden within the pockets of the city’s winding streets. And because Venice is an island, you can never get too lost, or lost enough.